Yo ho ho! Log in to accept this challenge! Do you have a surplus of game ideas? Do you have great visions of games that you would love to play? Do you love gold awards? 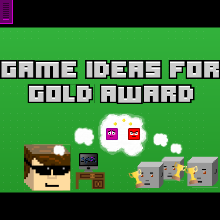 Share your ideas here and get a shiny trophy (if the ideas are great)!